Americans life expectancy at birth declined for the second year in a row in 2016 as the nation grappled with an opioid crisis, the first time thats happened in more than half a century. Americans’ life expectancy at birth declined for the second year in a row in 2016 as the nation grappled with an opioid crisis, the first time that’s happened in more than half a century. Broad declines in life expectancy are unusual in modern, wealthy nations — absent war or epidemics — and the reversal in the U.S. has been years in the making. Americans have shorter lives than citizens of other rich nations like Japan, Germany or Canada, and the gap in lifespans has been increasing, according to a 2013 National Academies of Sciences report. “We’ve been on a different trajectory from other high-income nations over two decades,” said Laudan Aron, a demographer at the Urban Institute and co-editor of that report. Still, the opioid crisis is part of the story in the most recent years. 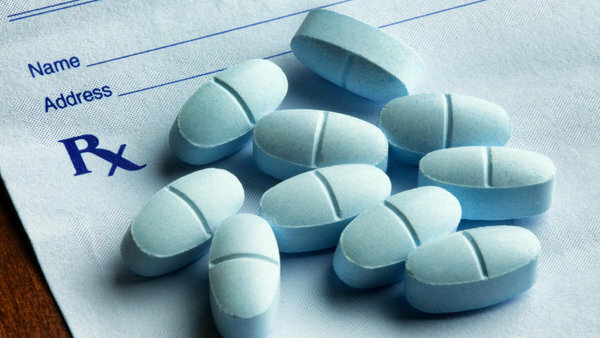 Accidental injuries, a category that includes drug overdoses, eclipsed respiratory disease to become the third-leading cause of death in 2016, accounting for almost 6 percent of all deaths. Only cancer and heart disease kill more Americans. The demographic changes, and the actuarial tables that are based on them, have led companies including Verizon Communications Inc., General Motors Co., and Lockheed Martin Corp. to adjust their expected pension obligations downward. Life expectancy at birth in the U.S. dropped about 10 weeks in two years, from 78.8 years in 2014. That’s a statistical estimate based on current death rates, and other factors in the decades ahead will influence how long, on average, today’s newborns will live. Before 2015, the last year life expectancy declined was 1993, when a severe flu season and the HIV epidemic combined to push up death rates. Last time the statistic fell two consecutive years was in 1962-1963, the National Center for Health Statistics, or NCHS, said in one of two reports released Thursday. About 63,600 Americans died from fatal overdoses in 2016, according to the second report, with West Virginia, New Hampshire, the District of Columbia and Pennsylvania among the hardest-hit. The increase in fatalities linked to powerful synthetic opioids such as fentanyl is particularly stark. As recently as 2013, those substances accounted for just 1 death for every 100,000 people. The rate in 2016 was 6.2 per 100,000, said the NCHS, a division of the Centers for Disease Control. The overall death rate, adjusted for the age distribution of the population, actually declined slightly. But because mortality increased for younger groups — people between 15 and 44 — that pulled down the estimate of life expectancy at birth. Death rates declined for people over 65. Mortality decreased for white women and increased for black men. Infant mortality remained flat. Despite the bleak picture of recent years, Americans have enjoyed big gains in life expectancy over the long term from public health improvements, new medical treatments, and expanded access to care. Life expectancy at birth is almost a decade higher today than it was in 1960, an era before social programs like Medicare and life-extending drugs like statins. Still, the recent increase in mortality at younger ages is a symptom of underlying illness and distress. That could be a consequence of economic decline, and a cause.